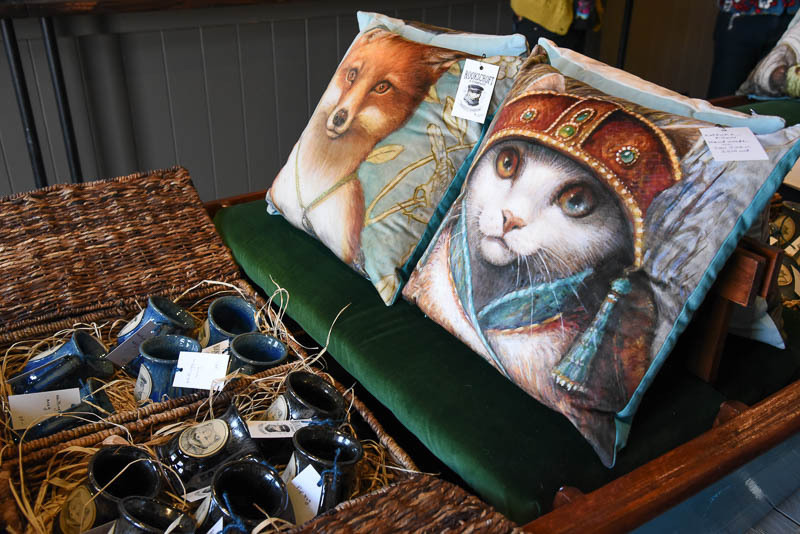 A ribbon cutting ceremony was held Friday morning, May 11th for a new Gallery and Studio in town called Rookscroft & Company. 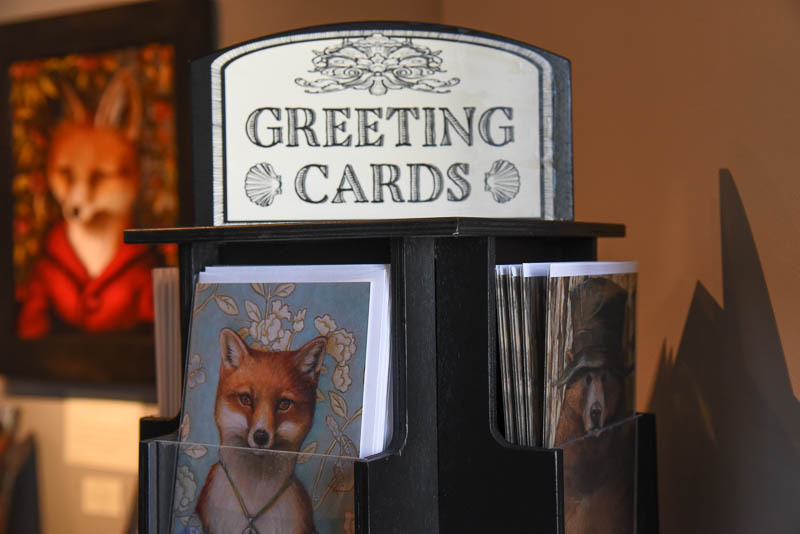 It is a working studio and gallery of paintings, cards, and gifts created by artist Jayne Siroshton. 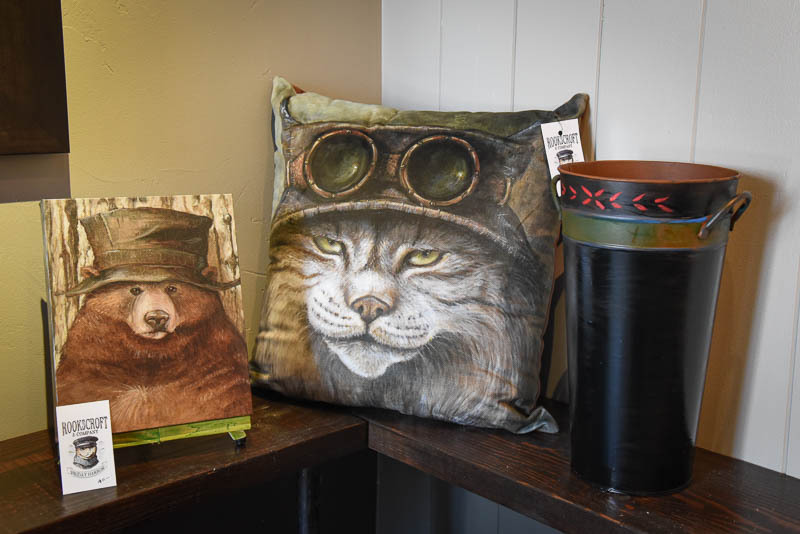 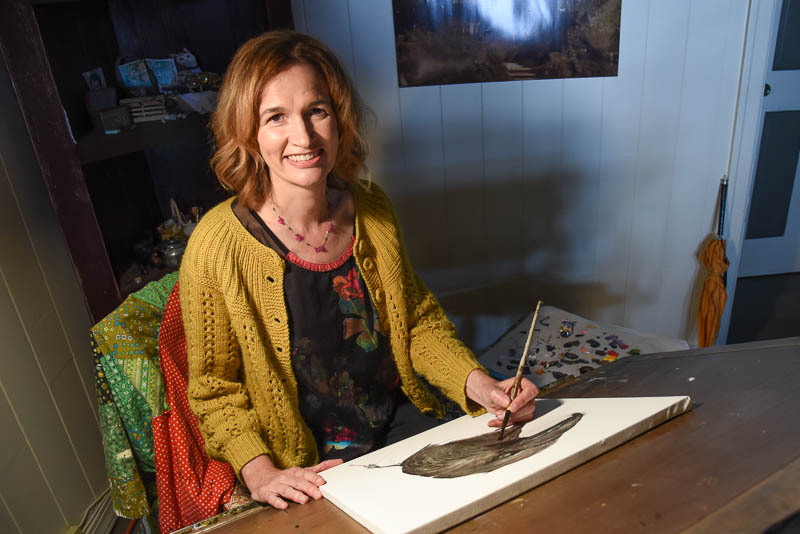 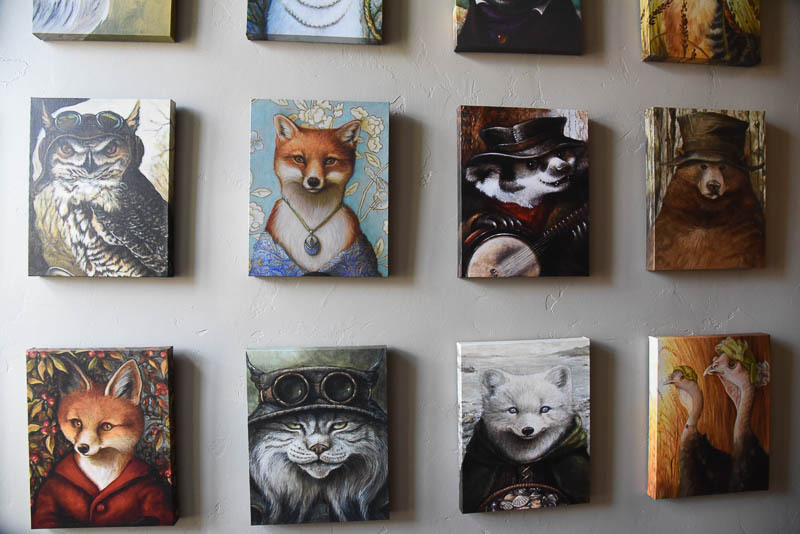 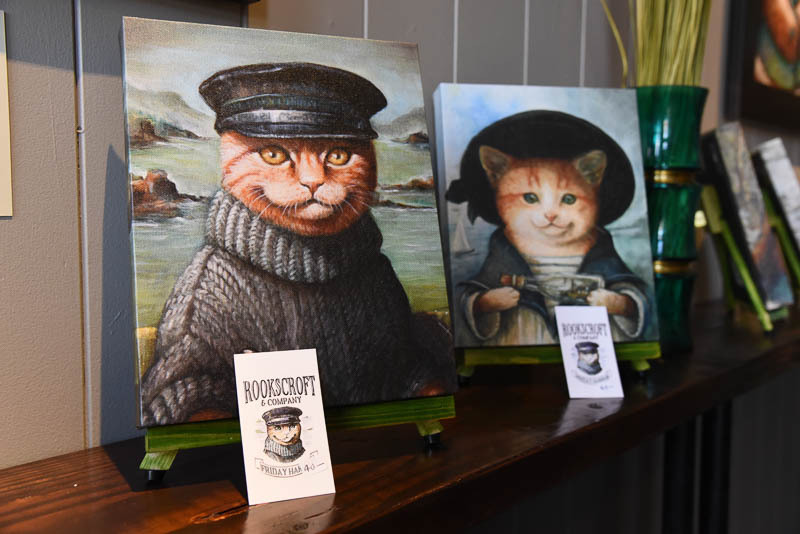 The paintings are portraits of 25 characters in her book, “Rookscroft – Peculiar Tales from a Land Beyond the Sea”, all of whom live in the San Juan Islands. 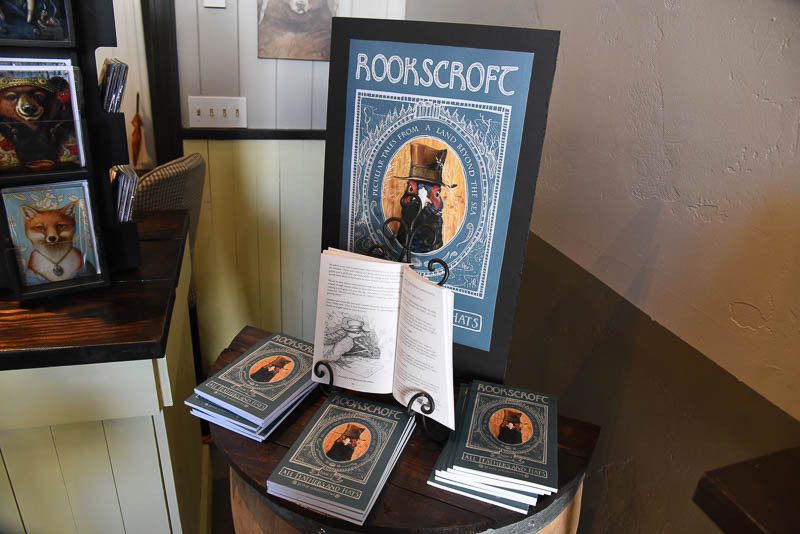 The cover of the book says “Book One”, which hints that there may be more books forthcoming. 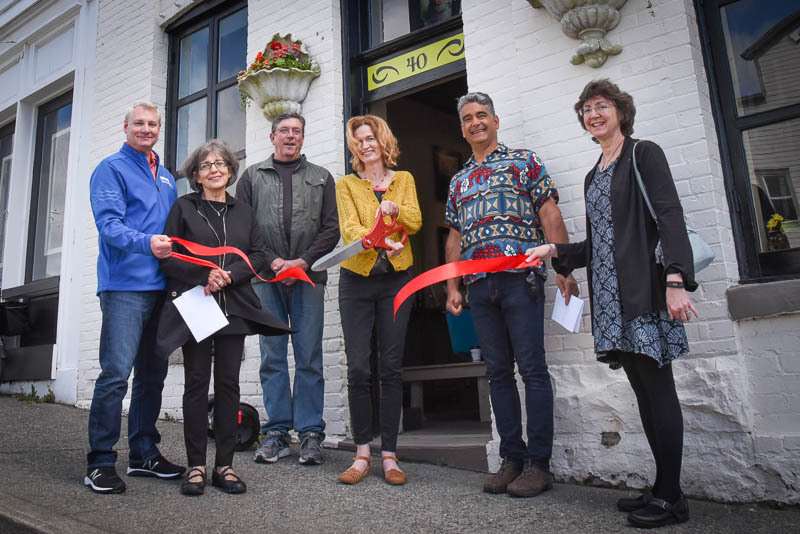 Jayne moved to Friday Harbor in August of 2017 with her husband Ben, a telecommuting Software Engineer, and their daughter Charlotte, who is a student at Spring Street International School. 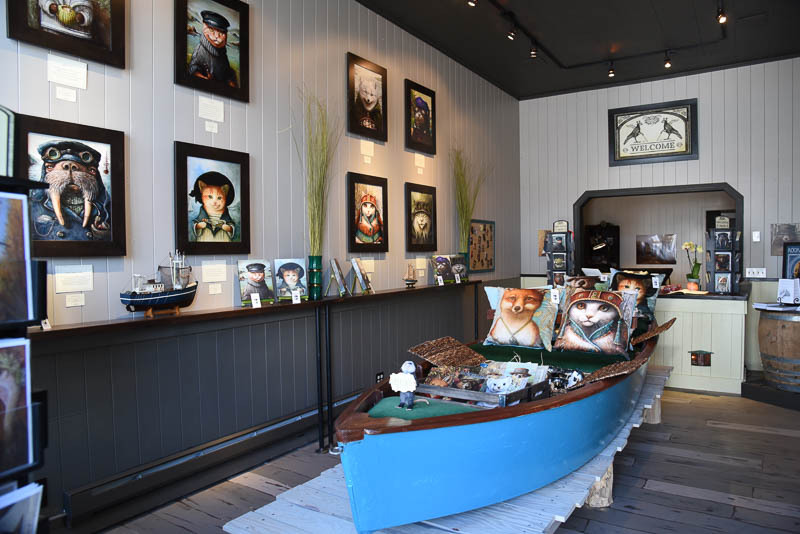 Just opened in mid April, the gallery is just up the street from Herb’s and a couple doors down from the Toy Box at 40 First Street. 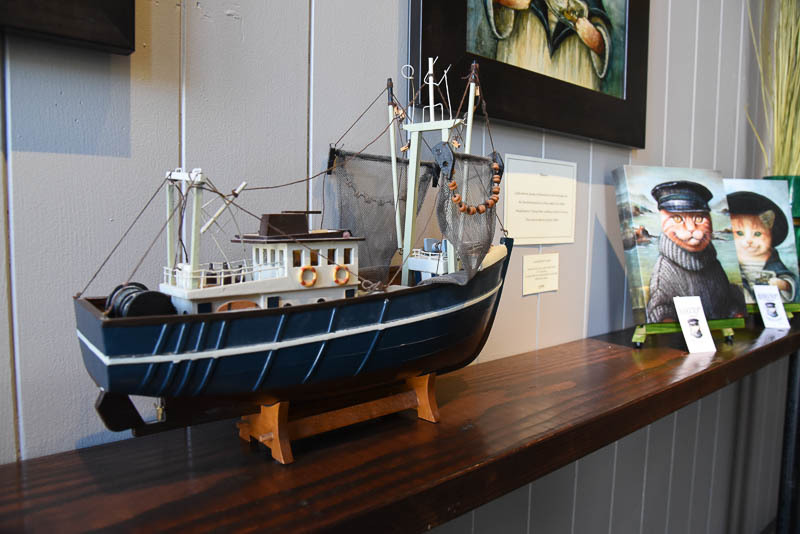 All photos by Tim Dustrude for the San Juan Update.